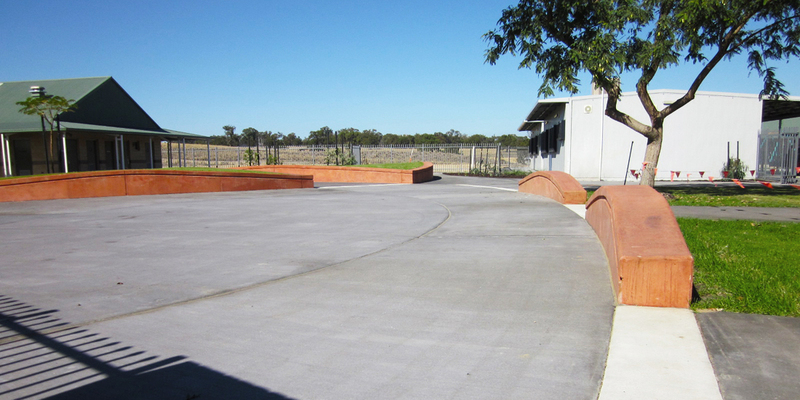 Ecoscape were commissioned to create a child friendly landscape design for Stage Two of the Baldivis Primary School in Tuart Ridge. 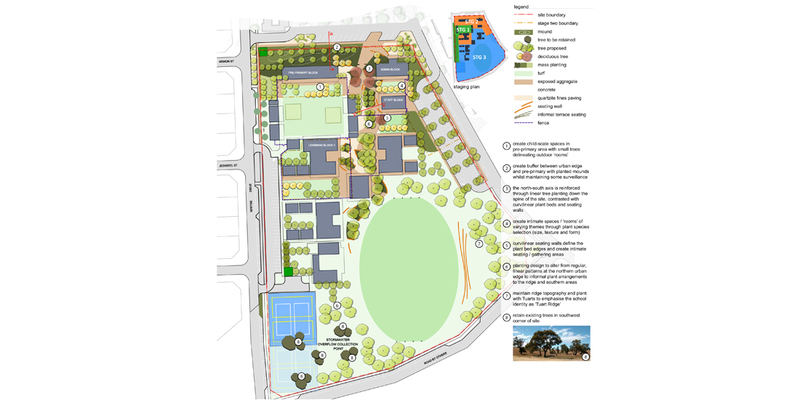 Ecoscape was commissioned by Parry & Rosenthal Architects for the development of Stage Two of the Baldivis Primary School in Tuart Ridge. 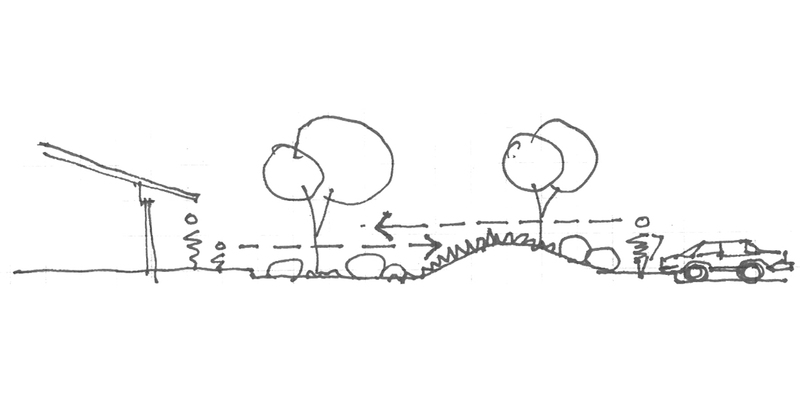 The intent of the landscape design was to provide a balance between small, human-scaled spaces and larger community-scaled spaces. Children from pre-primary age up to grade seven, plus the adult teaching staff and parents have areas of various scales and quality to provide comfort and intimacy whilst outdoors. 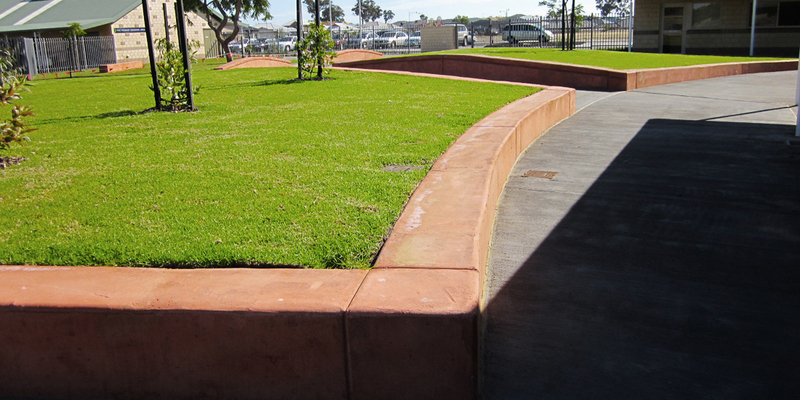 The main north-south axis through Tuart Ridge Primary School afforded an opportunity to create a ‘green’ spine through the site that links with external access patterns. 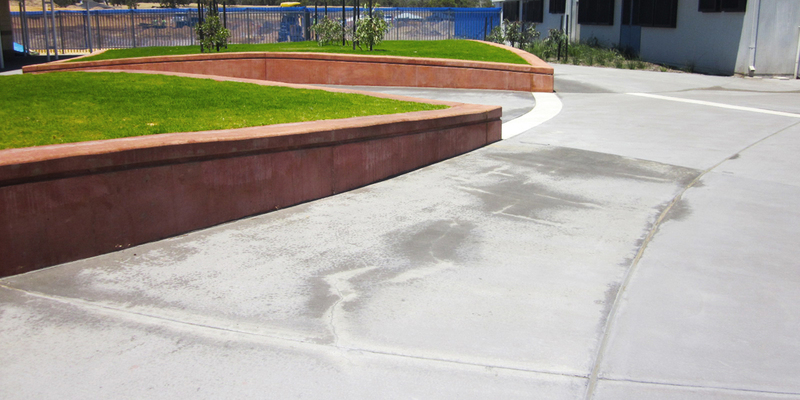 This link provides access and gathering areas within a well-shaded, planted environment and reinforce the legibility of movement throughout the school. 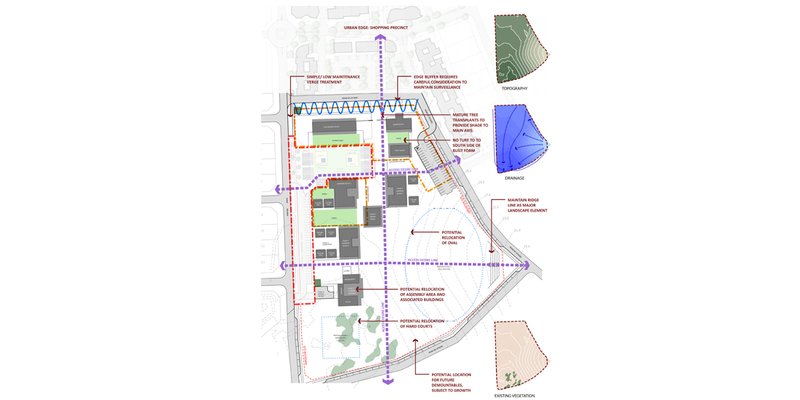 The central north-south axis is defined by curvilinear forms to promote movement and informal gathering; while the spaces adjacent to individual buildings are defined by rectilinear forms to support outdoor activities specifically for the adjacent building. 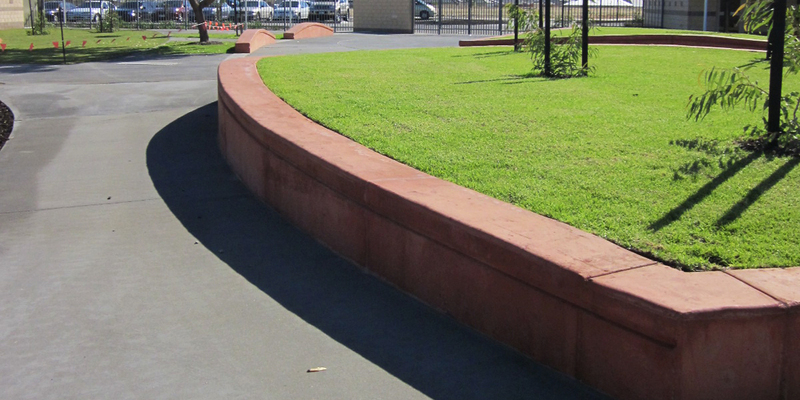 Seating walls along the central north-south axis define the edges of raised turf areas planted with trees. The walls curve in the horizontal and vertical dimension and vary in height; allowing very small children and adults to sit comfortably. This creates flexible spaces for gathering. 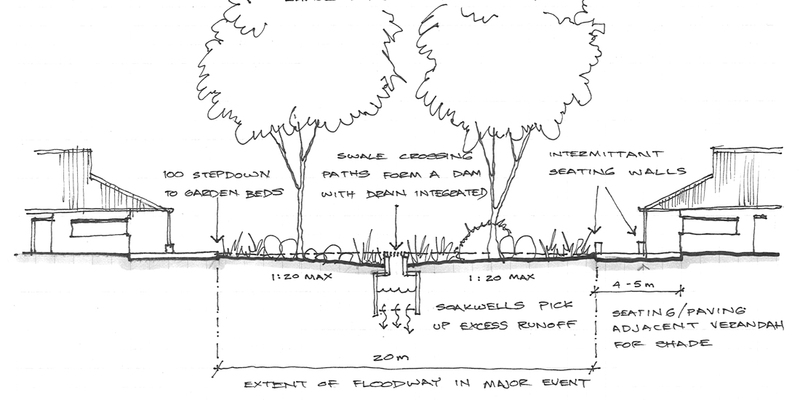 The design proposed large trees throughout the site to create shade and provide a cooler micro-climate for students in the warmer months. 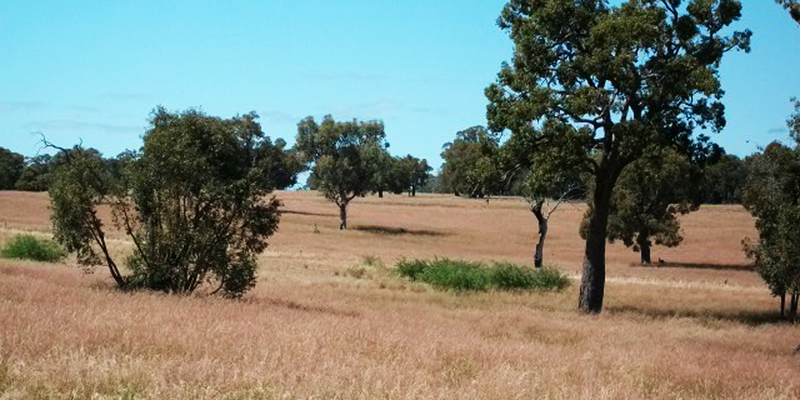 The use of Tuart’s and Poinciana’s as shade trees accompanied by local shrubs and groundcovers strengthen the existing character of the site. 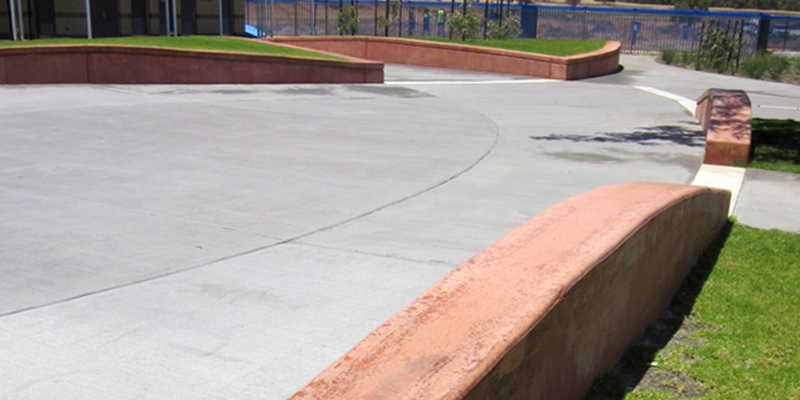 The project was constructed in 2010.